RymdResa: Restful Random Roguelike Inbound August 20 | "DESTROY ALL FANBOYS!" That’s a nice, bold statement from Stockholm, Sweden-based Morgondag, a pair of developers (Vendela Carlberg Larson and Kim Gunnarsson) whose upcoming game RymdResa sure fulfills on that quote quite well. 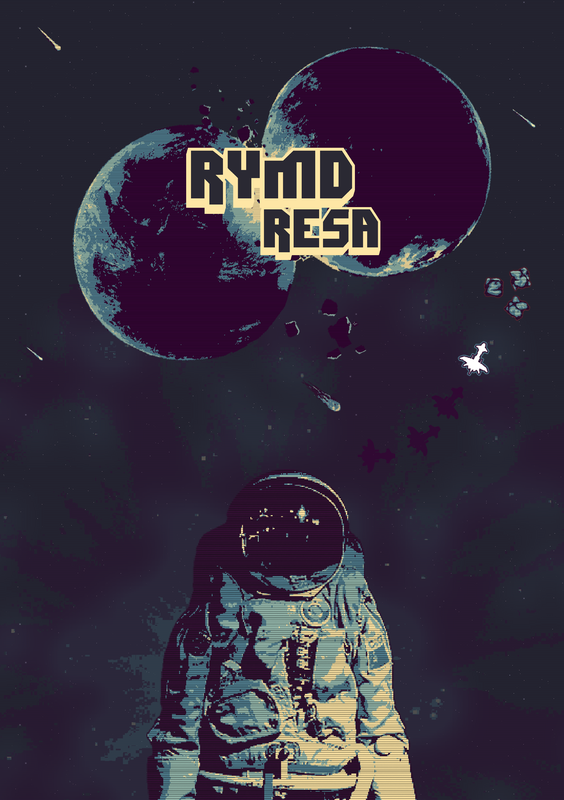 With the space simulation sub-genre packed to the gills with demanding 4X and real-time strategy games focused on deep exploration and and blowing fleets of ships into space dust, RymdResa is a mellower mood trip that’s a laid back welcome from all that blasting. That’s not to say you won’t get blasted by something if you’re careless, mind you. As you’ll see in the videos above and below, the game’s retro scan line look and lovely sound mix (by Tom Croke and Pat Jacobs) are blended quite well and there’s even a computer-y voice (Eric Reed) that talks to you as you slip through the stars like a more friendly (but abstract) HAL 9000. The gameplay in the build so far is interesting, mixing arcade-like controls that are easy to pick up with a (so far) intentionally languid mission structure that has you collecting resources and “spacepoints” and avoiding trouble while trying not to run out of said resources. There are nods to Computer Space, Asteroids, and other classics, but the game’s mix of poetic quotes as you drift about and discover are quite interesting. Thanks to a busy set of things to do this past week, I’ve only spent about a half hour or so with the game so far. 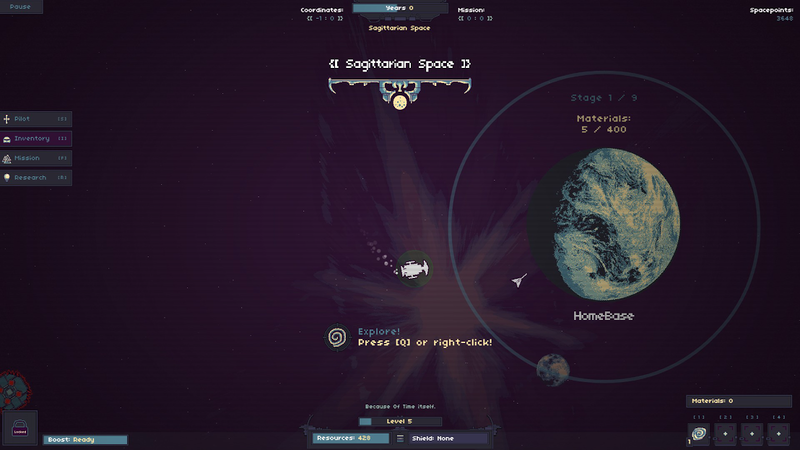 But I’ll be going back in to this deep space delight for more because what I’ve played so far has been quite compelling. That half hour got me close to two years in space, two levels and a near destroyed ship when I floated too close to the sun after dinging off a stray asteroid. Memo to self (and other players): RED outlines and highlights around objects mean stay away or else. While currently Steam-bound on August 20, 2015, the game is also set to land on Xbox One, Wii U, iPad and Linux at some point in the future. I’ll be wanting to check out the Wii U version just because that console is getting a load of cool indie love but people seem to be ignoring those games for some reason. I’ll run a big 40+ screenshot gallery over the weekend. I’d do it NOW, but I need to tackle some personal stuff. I’d do it sooner than the weekend, but I think I’ll be spending a lot of time in space before that with a nice little indie game you absolutely need to play. Back with more in a bit. This entry was posted in 2015, Commentary, DAF, Holiday Gift Guide 2015, Humor, Updates and tagged BUY This Game, Coming Soon, Digital Games, Downloads, Imports, Indie Games, Indie Gaming, PC, PC Games, RymdResa, STEAM, Sweden, Valve, VGA 101, Videogame Appreciation 101, Videogame Previews, Videogame Trailers, YouTube by geelw. Bookmark the permalink.